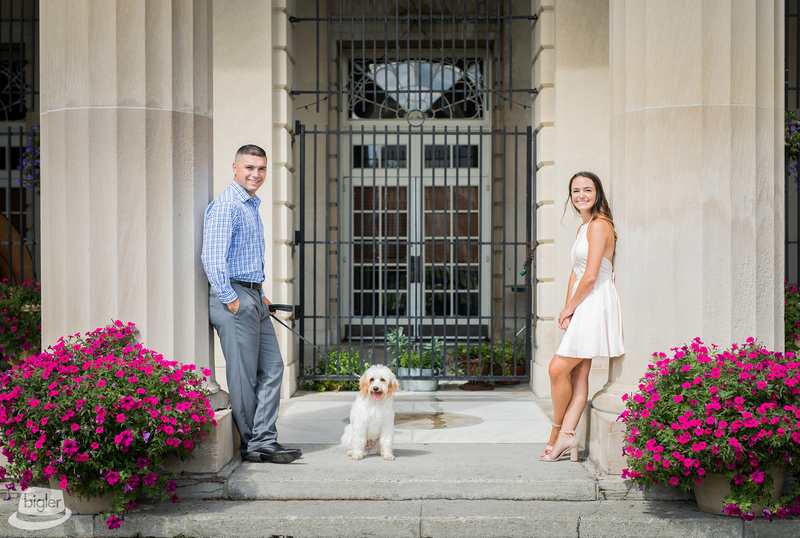 The Bigler Weddings Team can’t wait to celebrate with Audrey and Bobby next Spring in Saratoga! After meeting a LeMoyne College working at Spaghetti Warehouse ( how cool does that place sound?? ), Audrey and Bobby set off on amazing career paths as an accountant and officer respectively. A few years later, after building a house and moving in together Audrey was off to Disney with some girlfriends for a get-a-way. While gazing upon Cinderella’s Castle her very own Prince Charming arrived!!! 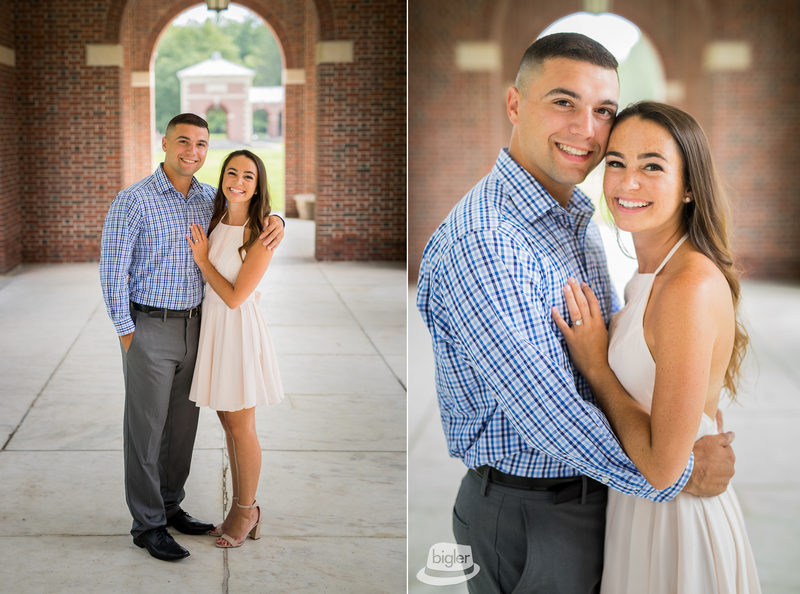 Bobby surprised her with a tap on the shoulder, a beautiful ring, and even brought the family along to witness the moment he popped the question! 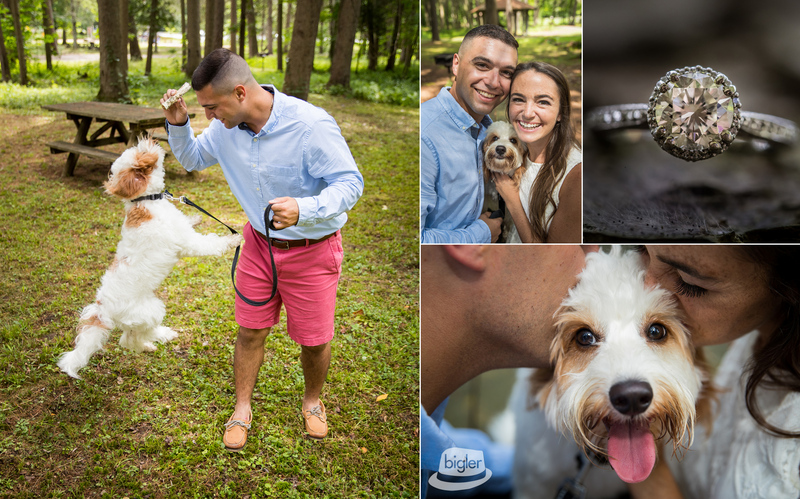 Fast forward to the engagement party when Audrey surprised Bobby with Leo, their loveable, and super snuggly mini golden doodle. 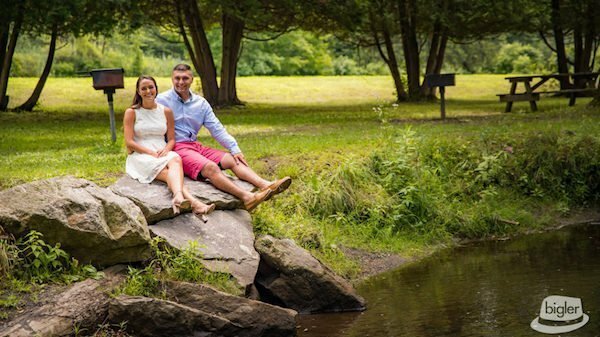 Recently the three joined us for this amazing E-Shoot in the Spa State Park. We are obsessed with their “adorable-ness”!